I recently had a wonderful blueberry cocktail called the "Blueberry Boat" at a restaurant called Cafe Maude...it was lovely! A light pinkish purple color, due to the blueberries...it was refreshing as well due to the gin, basil and lemon that it contained. I was wondering if I could make something similar at home, using my own liquor..and so, I was inspired to create my own blueberry laced drink! Unfortunately I didn't have any gin on hand, so vodka would have to do for now. I love Prairie Organic Vodka...it is so pure and I appriciate the fact that it is locally produced in Minneapolis. So that was what I used this time. I had some basil, and blueberries, as well as some lemons, so I figured it wouldn't be hard to recreate my own version of the "Blueberry Boat". I am pretty sure theirs contained a simple syrup, but for mine I used my own honey vanilla syrup instead, since I have a bottle of it on hand at all times. I much prefer the complexity of honey to sugar any day. So when the drink had been mixed and it was tasting time...the question was, would it be as good as Maude's drink? Yes! Mine was even better in my opinion...and a heck of a lot cheaper for me to make at home! If you want the essence of summer, try mixing one for yourself! You can always use gin instead of the vodka if you happen to have it on hand. In a martini shaker, muddle the basil leaves and 1/3 cup berries with the ice, crushing them until they are in small pieces. Add the vanilla honey syrup, vodka, and lemon juice, place top on shaker, and shake until well blended. 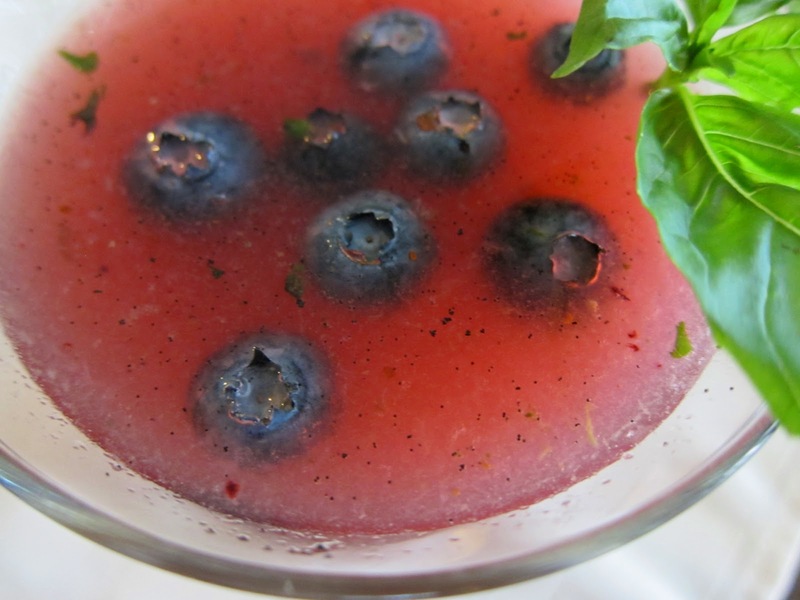 Pour through a strainer into a chilled martini glass, adding a few fresh berries to your glass and serve! 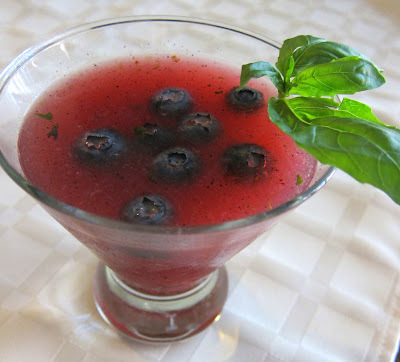 I am a martini girl and love the idea of a blueberry martini. I personally love vodka in martini's. Thanks for sharing, can't wait to try! With the warm weather, I've been seeing a lot of fantastic martinis posted. But I have yet to see one with fresh berries in it. Looks so refreshing! I love a freshly muddled cocktail! You have inspired me to make these for the Fourth of July! The background is pretty but makes it TERRIBLY HARD to read your post.